"Children, absolutely and unconditionally love Kidorable (almost as much as their parents and other children-loving grown-ups do.)" Kidorable offers a wide array of children's gear and accessories that inspire imagination and allow children to express themselves in an incredibly unique way. With each collection based on a theme, there is something that will express every little one's passions. B and the princess have distinct interests. When they like an article of clothing or accessory they will show it by wearing that item with unabashed enthusiasm day after day after...well you get the point ( to the degree that we have to barter the item away for a good washing :). They were over the moon excited when they each received a Kidorable rain coat for review. The item's were pulled from the packaging with pure delight! 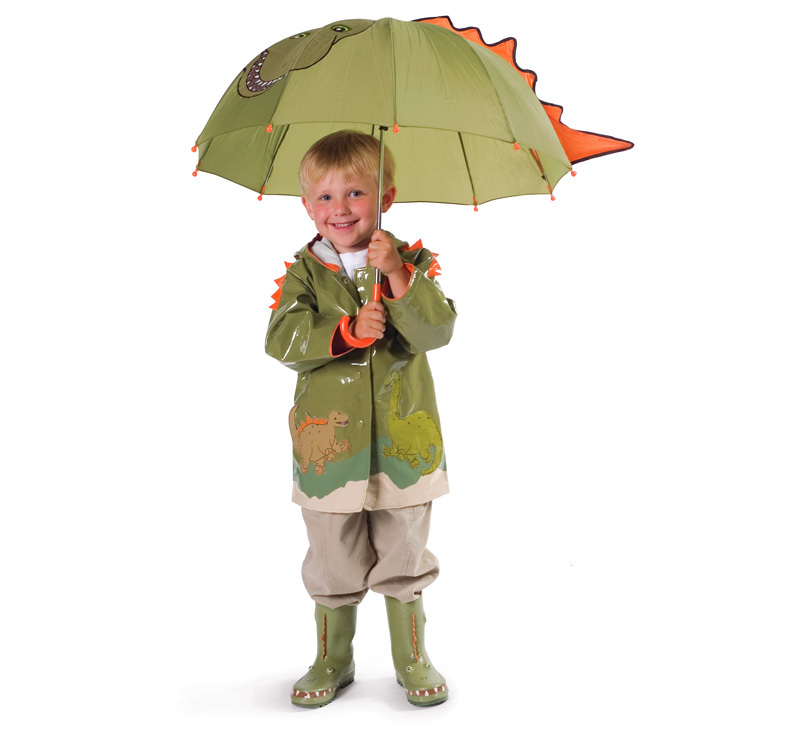 Ben received the Dinosaur rain coat (pictured above) allowing him to show his passion for all thing's dinosaur's while staying warm and dry on rainy days ( he would prefer if I let him wear it every day...all day). The princess has the same passion about her new English Roses (Polka Dot) rain coat(pictured above top) - it really suites her girlie princess style precisely ( and there's an adorable belt at the waste - how cute?!). As a mom I love the construction of these coats. While the outside is water resistant, the inside is lined allowing my children to remain both comfortable and dry. 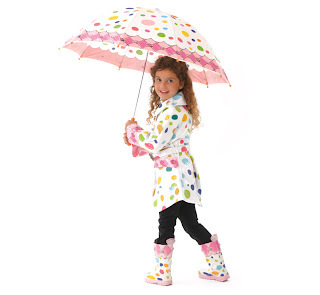 We will definitely be accessorizing their new coats with matching umbrella's and boots sometime in the near future! Something adorable from Kidorable! 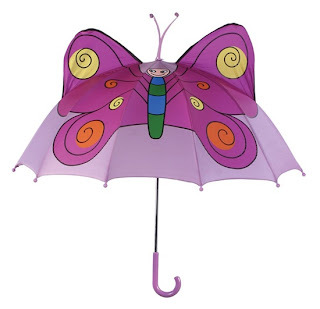 One Lucky Reader will receive an Kidorable Umbrella of their choice! Leave a comment~ Which of Kidorable's adorable item's would you love to have for your little one? The comment is considered your entry. Love the Frog Umbrella! Only thing better for my daughter would be a turtle umbrella. i have three boys so obviously i'm going to say DINOSAUR! we have the fire man and the frog and love them! Love the lucky cat and the fairy umbrella. Adorable! 1. I follow you on Twitter... LanieJCreates. 2. I follow you on Twitter... LanieJCreates. 3.. I follow you on Twitter... LanieJCreates. 4. I follow you on Twitter... LanieJCreates. 5. I follow you on Twitter... LanieJCreates. I love the giraffe bookends! emilyjoymitchell at gmail dot com. Both of my son's would love the Space Hero Rain Coat. Price: $36.00. I would love to get the Frog Rain Boots for my son.